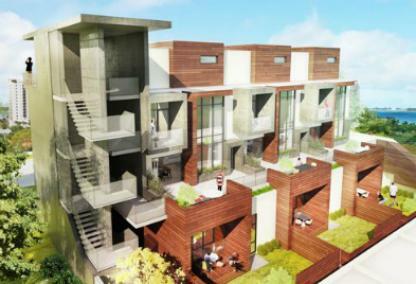 The new Vanguard Lofts feature a modern design within the six-unit structure. "Work-Live" is the theme here. There are three ground floor garden residences with office and private garden. 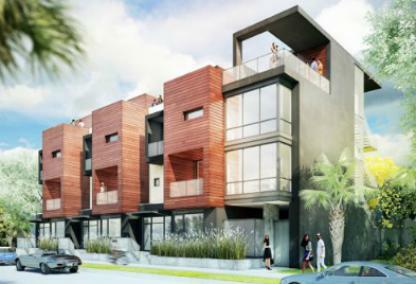 The garden residences share a 425 square foot rooftop terrace. 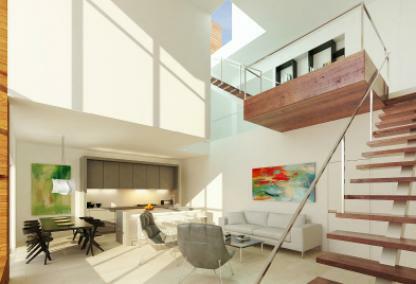 There are also three-story town houses available with their own office-mezzanine and a bonus private rooftop terrace. Developed so owners can work and live at home, the Rosemary District neighborhood has a "small town" charm even though it is in the city. You'll find lots of activities close by: Farmers market, shopping, dining, Marina Jack's, Marie Selby Botanical Garden, the Selby Gardens, as well as the Opera House. Area beaches and golf course are just a short drive too.